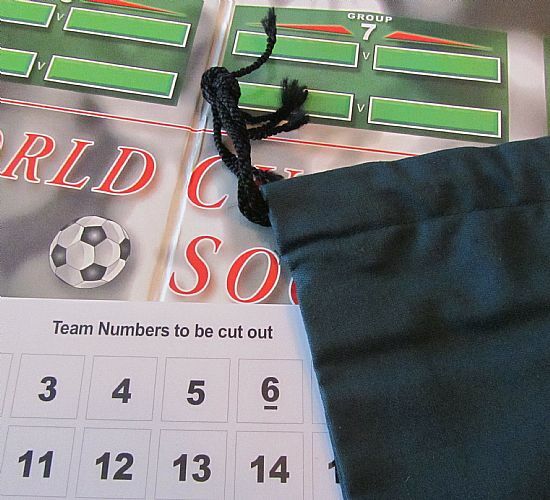 What a great, simple game - dice, cup draw cards and bag and the chance to relive the excitement of a knock out competition. All made the better by the very stylish and well made components. A cracker of a game and highly recommended. Lovely clean design. 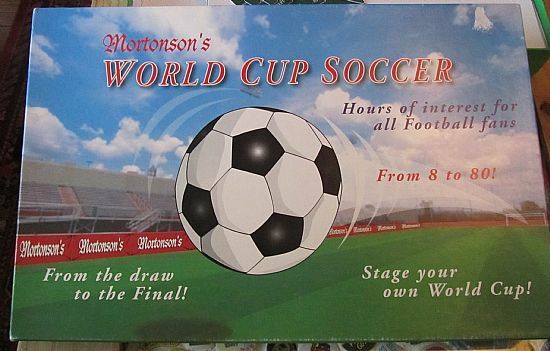 No idea who Mortonson's are and never seen any other games by them. Shame as this is a lovely game. Price is for a sealed shrink wrapped mint set. 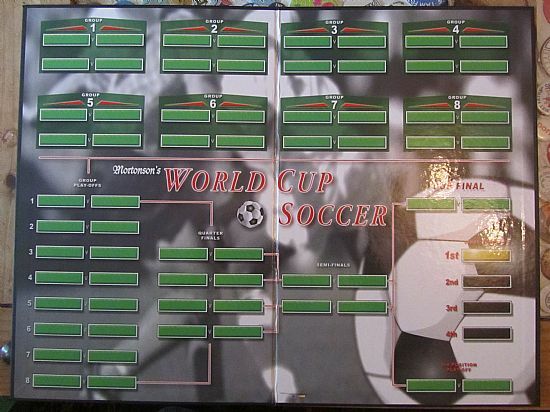 A classically laid out world cup draw chart including groups and the knock out stage. Brilliant! 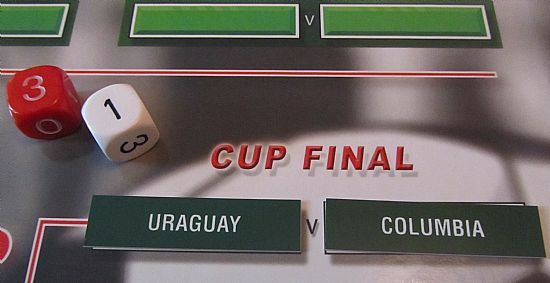 In the final it was impossible to split Uraguay and Columbia so they were jointed awarded world spelling champions! 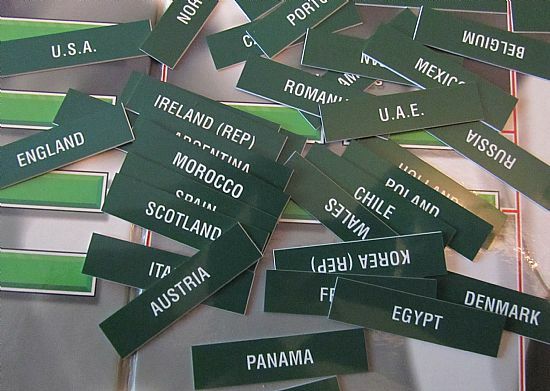 The draw cards are fabulous bits of plastic very well made and heavyweight. Also included are draw number cards and even a velvet drawstring bag from which to conduct the draw!! 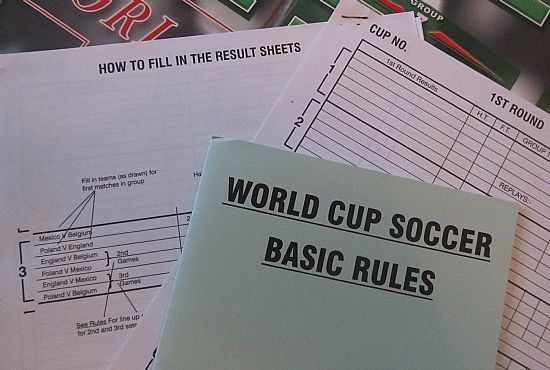 Plenty of instruction sheets and grids to complete all the group games and work out the tables.